The Class 4 Girls 100m dash is wide open in 2019, with the entire top 5 from last year having graduated. There are nine returners overall, three of which were State Medalists last year. My pick for being the favorite heading into the year may surprise some people. She has the second fastest returning time, but only ran the 100m once last year in the Great Southwest Classic after State. 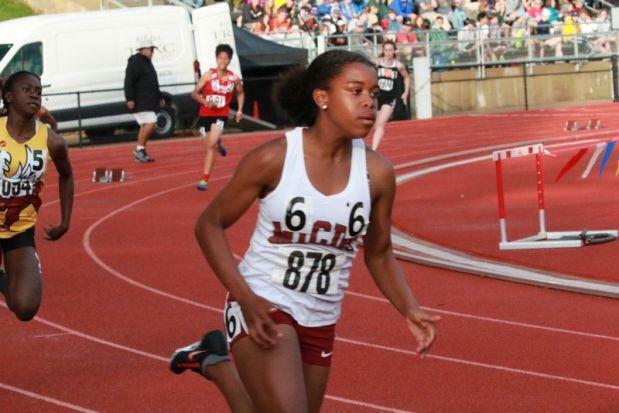 200m State Champion Jhordin Galmore ran 12.34 last year at the great Southwest Classic, and was unable to run it during the State Series because she was on the same team as Cara Johnson and Zionn Pearson who finished 1st and 5th at State in the 100m. I don't think anyone would be surprised to see someone who runs 24.66 in the 200m being fast in the 100m though. Lana Dorsey of Grandview looks to be her biggest challenger after a 6th place finish at State a year ago. She ran a season best 12.46 in finals, but has a PR of 12.22 from the summer circuit in 2017. Daphn Washington of Westminster and Kelsey Dalton of Monett are the remaining returning State Medalists. Below you can find my subjective ranking and honorable mentions for the Class 4 Girls 100m.